Now, if it's all-inclusive resorts you're looking for, metro Phoenix has got a great selection to choose from, including three of the top 75 in the country. The TPC of Scottsdale, Gainey Ranch Golf Club, and Troon North Golf Club all offer a complete line of services for the serious golfer, from every golf amenity to accommodations and fine dining. 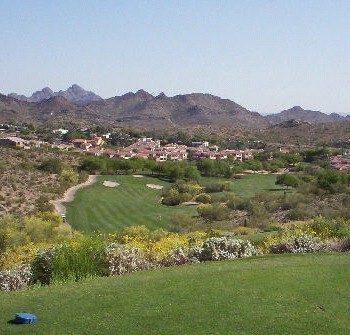 As host to the PGA Tour Waste Management Phoenix Open in February, the TPC combines with the Fairmont Princess to provide state of the art vacation golf, including an 18-hole sister course at the property. Gainey Ranch offers 27 holes of fabulous golf combined with accommodations at the Hyatt Regency, and Troon North is known worldwide for it's impeccable golf and service.